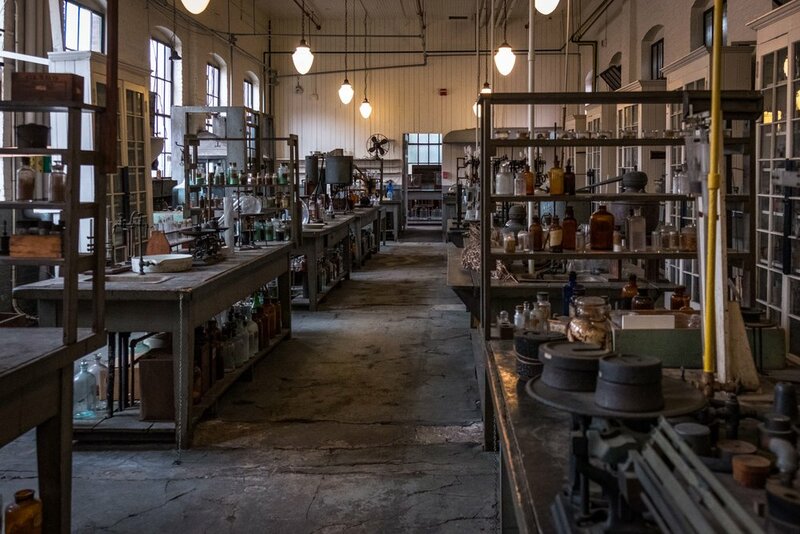 When Thomas Edison died this chemistry lab - where he often worked along with several chemists, was sealed and not opened for years until acquired by the NPS. So it is a time capsule of what was the finest chemistry laboratory in the world. At Edison’s death, he was working on trying to develop a different plant based rubber. The building was really interesting. President Hoover was here in 1928 to tour the operation. There is a lab coat hanging on a hook in the back that might have been Edisons there were only a few men working in here. Edison also had a private lab next to his office but usually worked here. Just an amazing man who developed the whole idea of a complex research laboratory here in West Orange, NJ.